U.S. President Donald Trump announced Thursday that hardliner John Bolton will replace General H.R. McMaster as his national security adviser. Bolton is a former senior diplomat in the Bush and Reagan administrations and will be the third national security adviser to serve under Trump in his first 14 months of office. 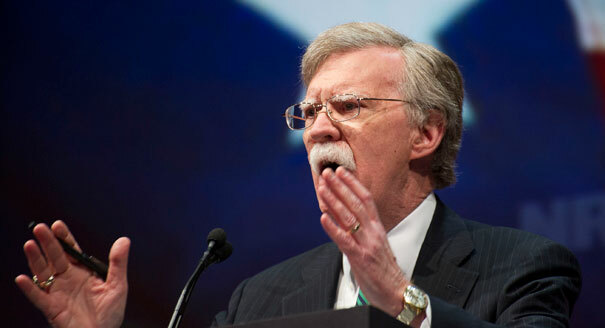 Considered a hawk, Bolton’s appointment raises the likelihood that Trump will decide to pull out of the Iran nuclear deal. Trump made a public announcement about Bolton’s appointment on Twitter Thursday. Bolton is strongly opposed to the Iran nuclear deal and is a known opponent of a two-state solution to the Israeli-Palestinian conflict. Like Trump, he supported the invasion of Iraq in 2003. He has also sounded a tough line regarding negotiations with North Korea. Bolton’s appointment will not require Senate confirmation since the national security adviser is a White House position. In 2005, he failed to win confirmation for his nomination as U.S. Ambassador to the UN, and then-President George W. Bush had to appoint him as a recess appointment. Bolton has visited the White House in recent months on multiple occasions, reportedly to offer Trump advice that contradicted his official advisers at the time, including McMaster and outgoing Secretary of State Rex Tillerson. Trump, however, denied press reports he was planning to replace McMaster. White House press secretary Sarah Sanders strongly denied such a report last week. With the departures of both McMaster and Tillerson, the only senior official within the Trump cabinet supportive of the Iran nuclear deal is Defense Secretary James Mattis who has said that remaining in the deal, despite its flaws, serves American national security interests.